The 4th Annual Linguistics Conference at UGA was held on October 6-8, 2017. 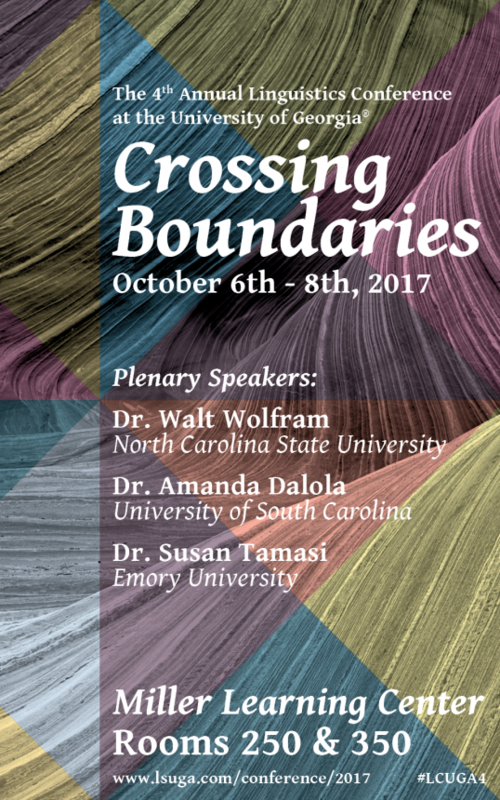 The central focus of this year's conference is “Crossing Boundaries”. We encourage creative interpretation of this focus, and welcome papers that address any of a myriad of what may be considered linguistic boundaries. We hope you'll join us at LCUGA4!